Its Summer season in the northern hemisphere and if there is any place on earth which is almost like paradise this time of the year, it’s Europe. With almost 16 hours of sunshine, warm climates and plenty of beer it’s a period that is looked forward to by both European natives and tourists. 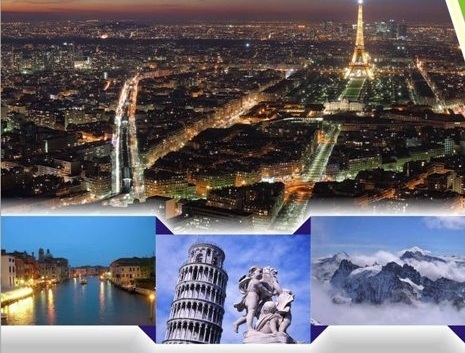 If you’re one of the lucky few visiting the continent for a quick vacation then here’s how you achieve a feat that some people only dream about: breakfast in France, lunch in Switzerland and dinner in Italy. Chetna Prakash, founder, and Editor at Indian Compass, a travel website dedicated to making travel around Europe easy, fun and memorable shares her experience of a road trip which not only enabled her to achieve an enviable feat but also allowed her to test a number of common stereotypes about French, Swiss and Italian people. We started our excursion from the French-Swiss border and in a day were able to drive into Switzerland through to Italy via St Bernard Pass. By early evening we were in Turin which isn’t really a guidebook recommended the place unless you explore it the right way. Turin is Italy without the tourists, a hard find these days. The streets are filled with easy-going Italians in love with food, wine, and music. Before we realized it we were caught in the same free-wheeling spirit and best of all the prices were way lower than what one would find in Florence, Venice or Rome. The next morning we started our journey back to France via the Mont Blanc Tunnel and then from thereon towards Geneva. The highlight of this journey was the drive through the Alpine mountains which was an experience straight out of the James Bond movies. Overall the journey started with croissants in a village cafe on the French side of the Franco-Swiss border followed by the gorgeous winery lined lakes in Geneva finally ending in the lovely town of Turin. In a lot of ways, the trip worked as an experiment in testing stereotypes. We saw the landscape, people, food, culture, and even drinks change remarkably as we crisscrossed between the countries, and that answered many questions for us. Are the Italian and French really friendlier than the tight-assed Swiss? Do Italians really play fast and loose with speed limits? Is Switzerland really more expensive than Italy and France? Are Italians really darker, sexier and more passionate than the Swiss and French? On all accounts, the stereotypes held true for me but you don’t really have to agree. If you’re looking to embark on a similar expedition then I would strongly recommend doing it. It’s almost as good as looking for Cheap Family Holidays, with the added benefit of spending more time at a particular place of your choice. Make sure to budget for a good GPS device as well as road tolls which can cost you close to 100 euros in total and need to be paid at tunnels and city roads.